Hotels and restaurants | City: Bloomington, USA | Designed by: Kuhlmann Design Group, Inc. 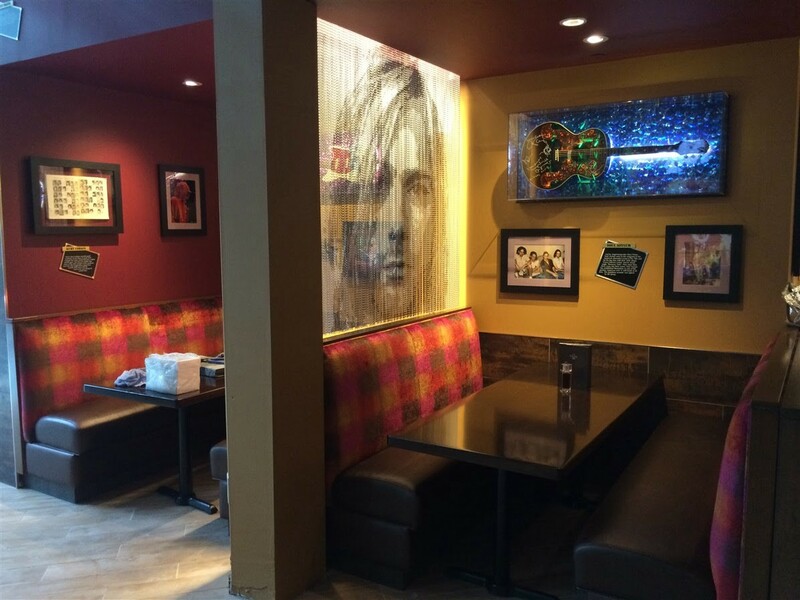 Among tens of bars and restaurants of the Mall of America, we can find Hard Rock Café, which brings the music, memorabilia and rock n’ roll flair back to Bloomington, Minnesota. The new 15.000-square foot café seats 400 guests, features private event space, patio seating, a live music stage with capacity for 1.200 guests, two spacious bars, a 750-square foot Rock Shop retail store and an interactive Rock Wall Solo™ — a 52” high-resolution interactive touch wall that enables fans to virtually explore the world's greatest music memorabilia collection. And, among all of this, we can find 5 space dividers from Kriskadecor. 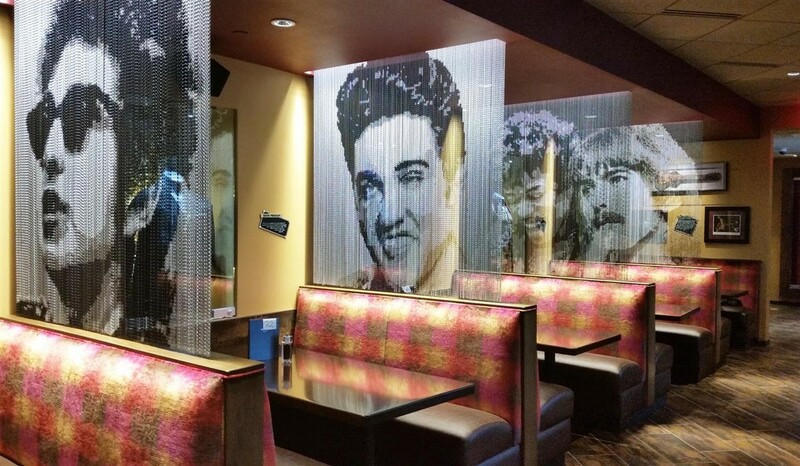 Kuhlmann Design Group, Inc., the company responsible for the interior design, added these straight curtains to honour Elvis Presley, Kurt Cobain, jimmy Hendrix, Bob Dylan and George Harrison.